Opened in 1888, Mount Shasta is the oldest trout hatchery west of the Mississippi. 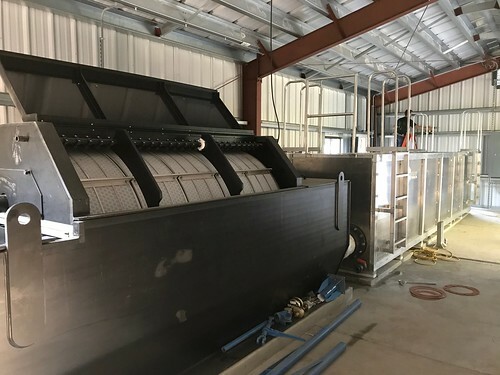 During its many years of operation, the hatchery has raised several types of trout, salmon, arctic grayling, largemouth bass, sunfish, perch, catfish and sturgeon. 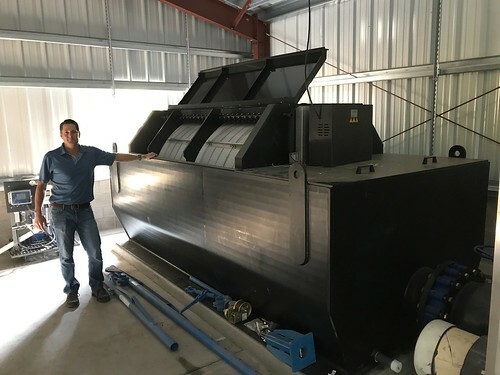 Mount Shasta Hatchery has shipped trout eggs all over the world to places including Mexico, New Zealand, China, India, Pakistan, The Philippines and Bangladesh. 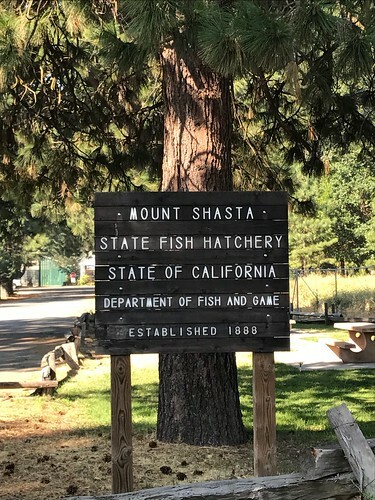 It is believed that in more than a century of operation Mount Shasta Hatchery has produced more salmon and trout than any other hatchery in the world. 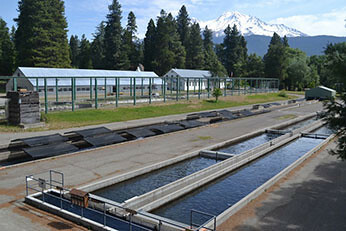 Unlike most hatcheries Mount Shasta Hatchery still utilizes earthen ponds to raise catchable trout; one of the last California Department of Fish and Wildlife hatcheries to do so. 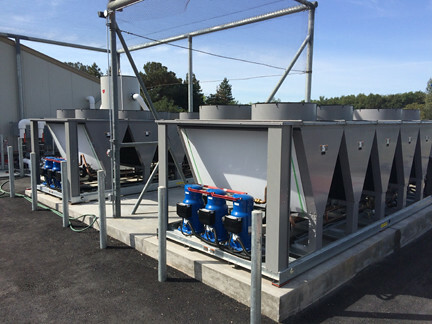 In 2016 IAS assessed Mount Shasta Fish Hatchery’s filtration needs and took the project from concept to engineered drawings and from engineered drawings to production, delivery and completion. 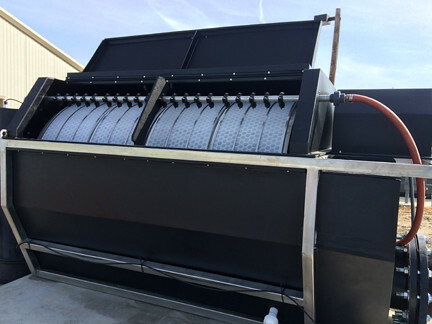 We supplied a Trojan UV 3000Plus™ in-channel UV sterilizer and an F4-5T HEX™ Drum Filter with intelligent drum filter controls. 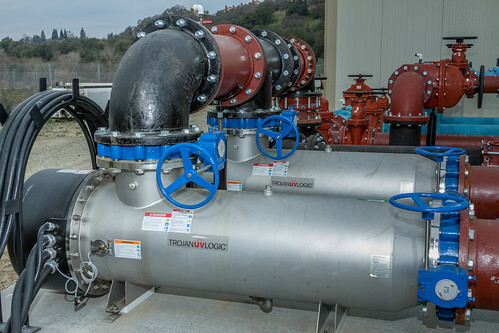 For larger scale, high-flow and/or high-dose applications, the Trojan UV 3000 series of open channel water sterilizers provide a cost effective solution. 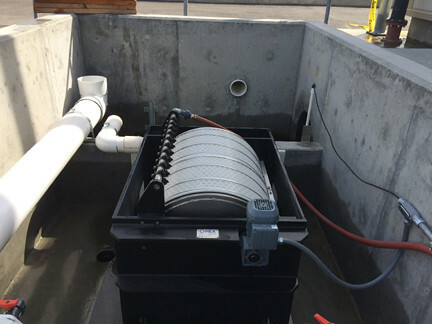 Trojan open channel systems feature amalgam lamps, optional Acti-Clean wiping systems, flexible channel arrangements and advanced electronics to help ensure the biosecurity of any commercial/industrial system, including the system found today at Mount Shasta Fish Hatchery. 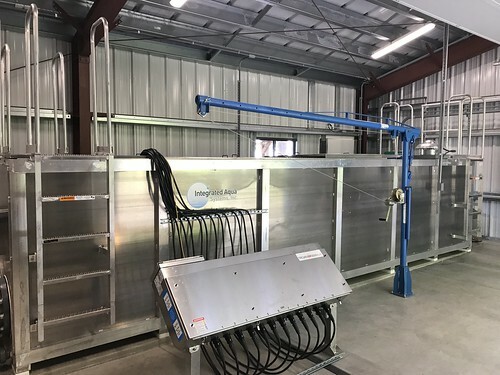 The American River Trout Hatchery (ARTH) operated by the California Department of Fish & Wildlife is a critical trout hatchery for maintaining fishery stocks and restocking efforts in California. 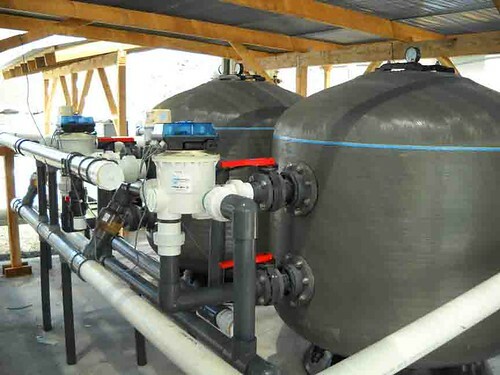 The ARTH obtains fish eggs or fingerling fish from other hatcheries or collects fish eggs from remote sites. 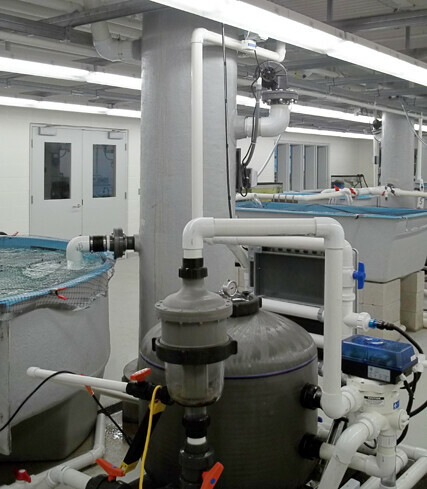 Fish eggs are incubated and hatched in a flow through system and reared to various sizes to accommodate fisheries management strategies. 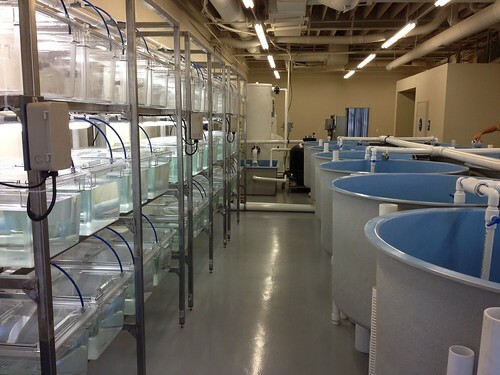 The ARTH’s current goal for fish rearing is approximately one million fish per year. 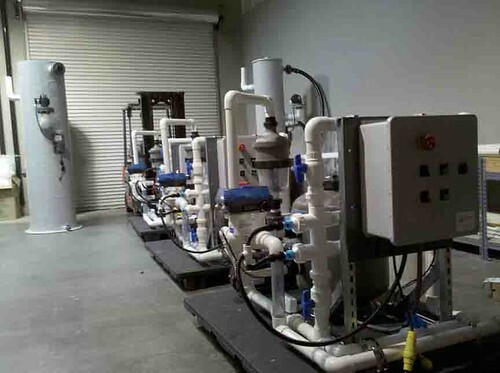 In 2014 drought conditions in California and subsequent rising supply water temperatures at ARTH posed a severe risk to hatchery production, which threatened the California fisheries dependent on successful fish production efforts. Emergency federal funding was allocated to address the problem. 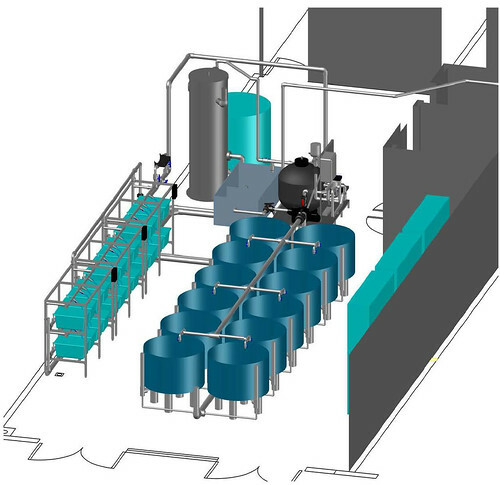 Integrated Aqua Systems (IAS) was selected to design, build, supply and commission an incoming water filtration and disinfection system as well as a flow-through chilling system to mitigate the risk to hatchery production. 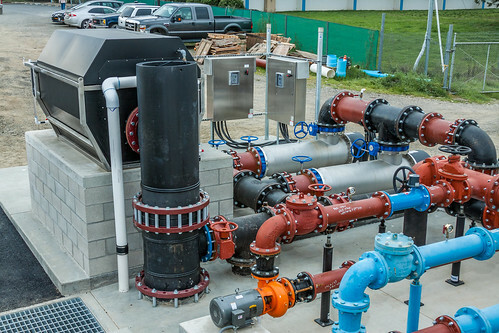 Integrated Aqua Systems, Inc. provided design services, equipment, project management and commissioning phase services for the project. 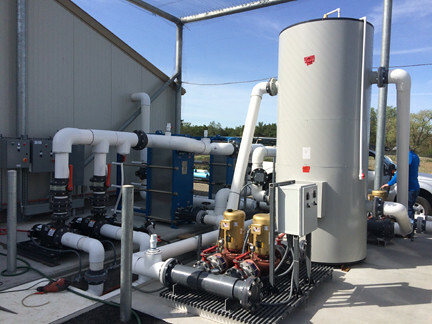 IAS worked jointly with Aquacare Environment Inc. of Bellingham, WA to deliver an integrated design-build-supply-commission solution for the project. 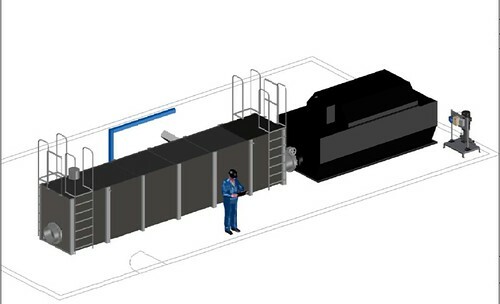 The incoming filtration system supplied provides 40µ screening at a design rate of 1,800 gpm using a microscreen drum filter. 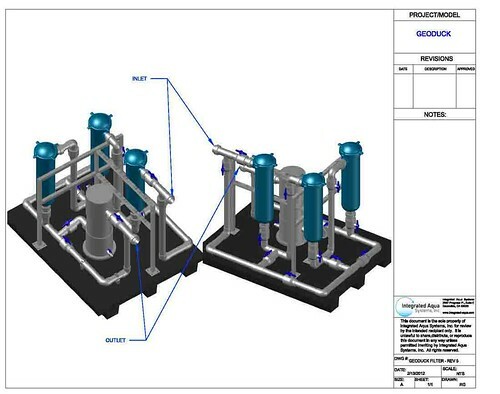 Water is then disinfected with dual UV sterilizers which provide a UV dose of 318mJ/cm2 designed to target and prevent the introduction of Costia, a lethal protozoan. 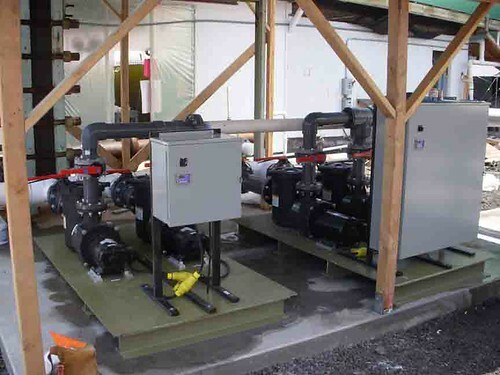 Dual 130 ton chillers with plate & frame heat exchangers and a heat recovery recirculation system provide a 10°F ΔT at 900 gpm, maintaining the ideal temperature for fish spawning even during events with elevated source water temperatures. 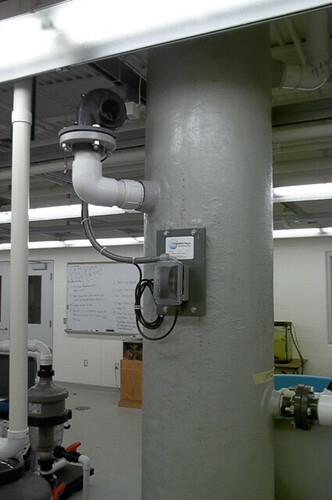 IAS was engaged by Center for Aquaculture Technologies in 2013 to provide aquaculture system design services and to build, supply and commission a complete recirculating aquatic research laboratory. 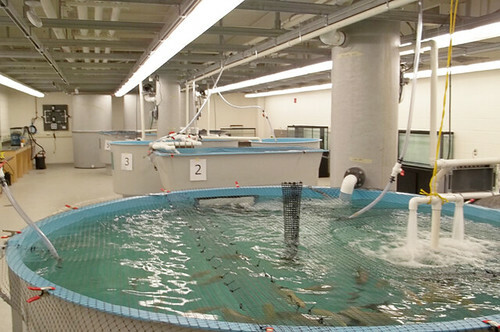 The project required “Flex” aquatic research space to accommodate the diverse research needs across a broad range of species and biological loading scenarios. 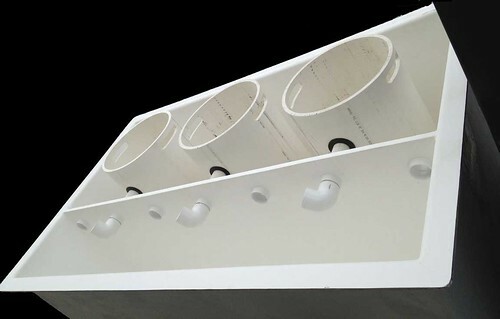 A primary design requirement included the use of vertical multi-tank rack mounted systems to maximize fish housing space in a minimal footprint. 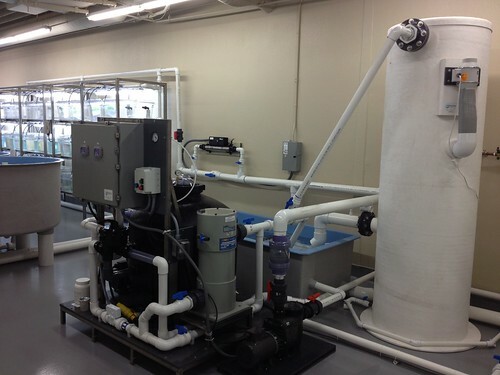 Due to the limitations of water availability and cost in an urban San Diego lab location, the entire system operates on a centralized recirculating aquaculture filtration system requiring minimal makeup water to maintain excellent water quality. Geoduck clams are a delicacy in select seafood restaurants and sushi houses throughout the world. 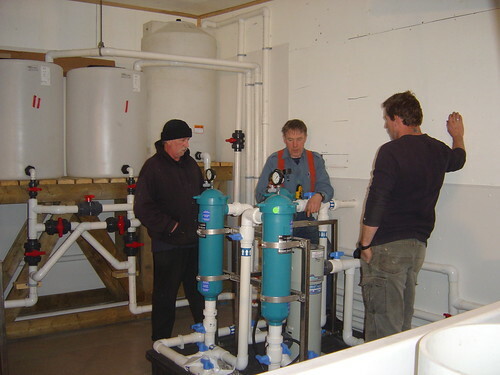 IAS was a key supplier to Aquacare Environment, Inc. for a complete Geoduck Shellfish Hatchery project in Western Canada in 2012. 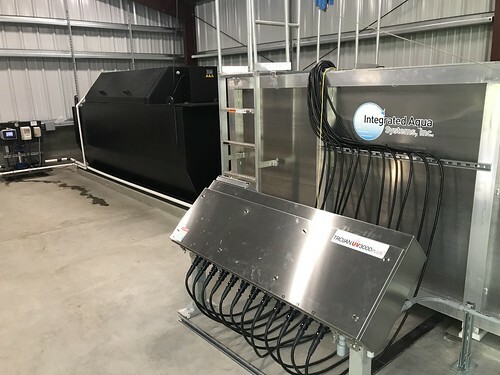 Equipment supplied included custom tanks, stainless steel racks, algae bag systems, skid-mounted filtration and UV disinfection system. 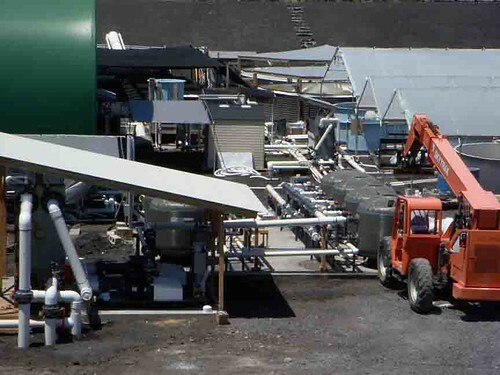 In 2008 IAS supplied a complete incoming water filtration system and water supply pump system for Kona Coast Shellfish, a large shellfish hatchery on the “Big Island” Kona, Hawaii. 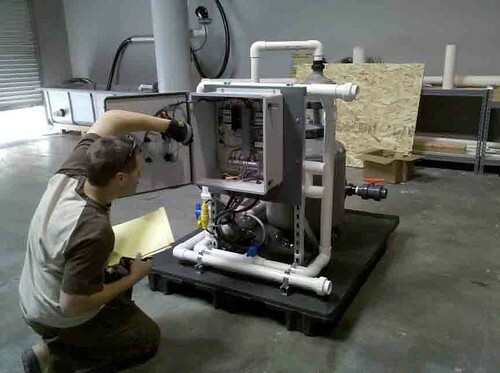 The multimedia filtration system included six (6) 64″ diameter Commercial Sand filters with computer controlled autobackwash systems in series. 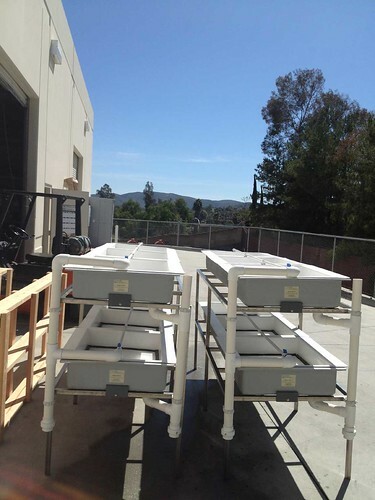 The 1200 watt high-output UV disinfection system provided biosecurity for the facility. 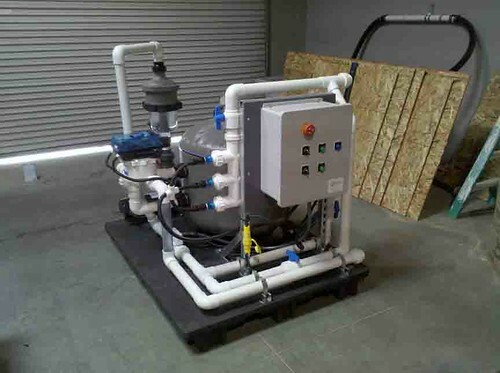 Tandem skid-mounted 5 hp and 7.5 hp commercial pumps with variable frequency drives provided seawater for the entire facility. 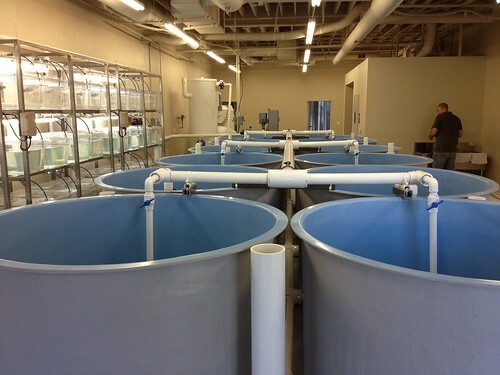 Lyman Hall High School Aquaculture Facility is a world-class vocational agriculture teaching facility that aims to teach students all aspects of aquaculture including aquatic animal husbandry, business, engineering and numerous biological concepts. 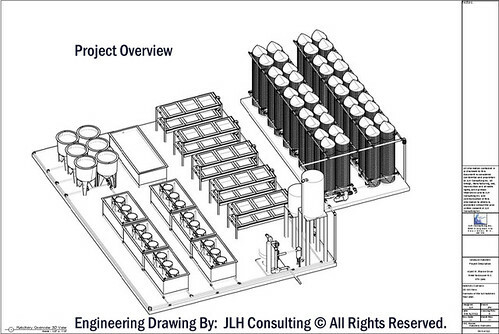 IAS was selected in 2009 to provide three (3) independent recirculating aquaculture filtration systems for the project. 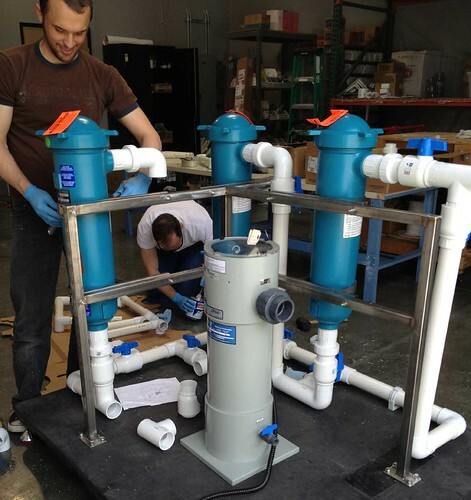 IAS designed and built skid-mounted INTEGRATED™ filtration and UV disinfection systems with automatic backwash along with MicroBead biofilters to maintain excellent water quality in the fish systems.